In my opinion which is based on raising my 3 children along with having many nieces, nephews and cousins, Cotton is definitely best for your baby. A newborns skin is so delicate as is any child’s skin under 3, being a 100% organic fabric Cotton is natural, soft and doesn’t rub against your baby’s soft skin. Cotton garments will keep your loved one cool as its naturalness allows it to be non-allergenic so less worry about rashes, eczema and asthma. This in today’s climate is a huge advantage. With many spillages on your little one’s Designer baby wear, Cotton can be washed and dried easily making it easy to clean – harsh soaps and chemicals are not required to get rid of stains as Cotton releases dirt and grime easily. More often than not, a mild detergent and some warm water will be enough to clean your bub’s Unique baby clothing. It is a good idea to use organic cotton clothes for your baby, organic cotton is made using natural fertilizers and absolutely no chemical fertilizers or pesticides. Therefore, this kind of cotton is the best for your baby. 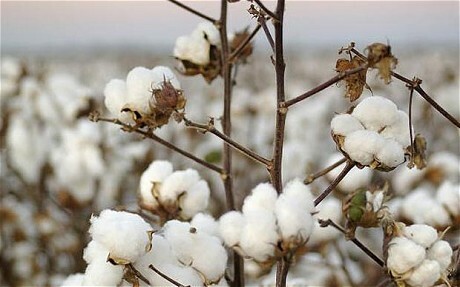 In addition to the benefits it offers your baby, cotton is great for the environment too. It is 100% natural and therefore biodegradable too. By now you must be convinced of the benefits cotton has to offer. We definitely are that is why all our Designer baby wear is 100% cotton. Why not Buy Australian for your beautiful bundle of joy or grab that perfect Australian gifts for that special someone close to your heart. This entry was posted in Fabric, Indigenous clothing, News. Bookmark the permalink.